(1) Run in connection with Nene Valley Railway's Eurosteam Weekend. (2) Further details required (i.e. how many trips were made & timings). 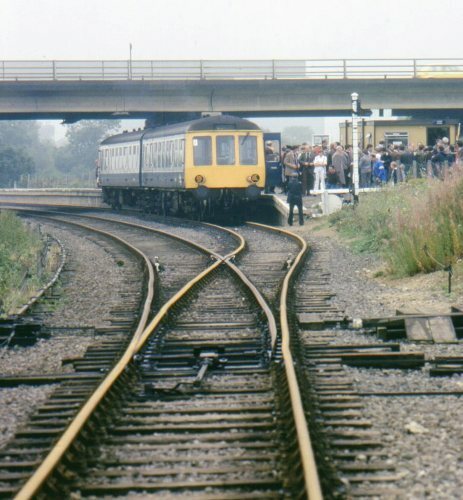 (3) On the Sunday (21st) Ian Umpleby recorded 2x Derby 2-car DMU's in use. Photographic evidence shows only a 2-car set in use on the 20th. (4) Alan Holmewood's records suggest that these services were organised by British Rail (ER) rather than the NVR but confirmation is required. The information below represents only one journey of several round trips made.